Here are the steps in eHRAF Archaeology to search for ‘Aztec dog burials.’ For this search it’s best to use the “Add Traditions” and “Add Subjects” functions and keywords in an Advanced Search. Step2. 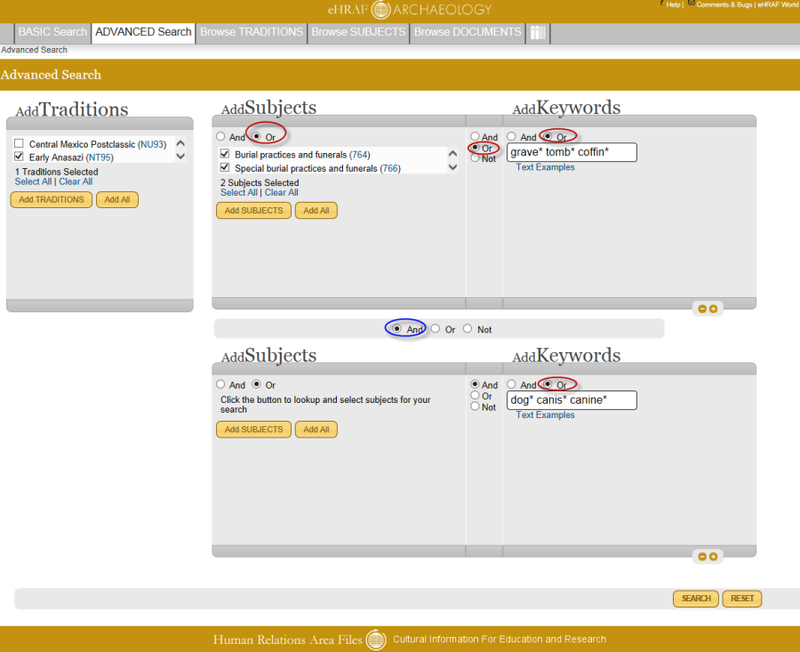 Find subject(s) for burials, mortuary, or funerary practices. Step 6. Boolean AND and OR-Very, very important to set them right! Try your own eHRAF Advanced Search in eHRAF Archaeology. Contact hraf@yale.edu for a current login.